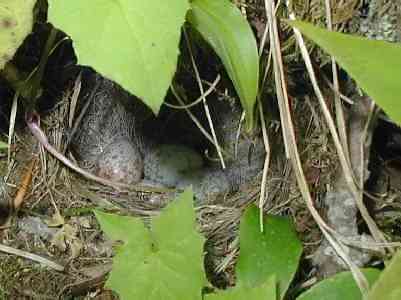 Day Hikes on the A.T.- Reports w/pictures. 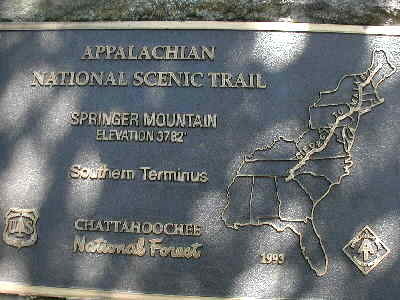 One of the most popular trails in the U.S., The Appalachian Trail traverses more than two thousand miles from Springer Mountain in Georgia to Mt. Katahdin in Maine. 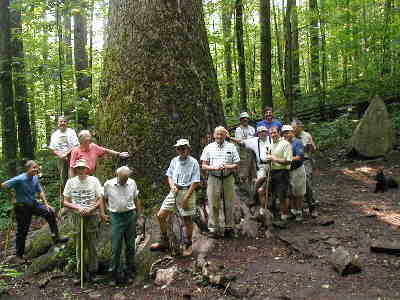 We often hike on the Georgia and North Carolina sections of the trail. 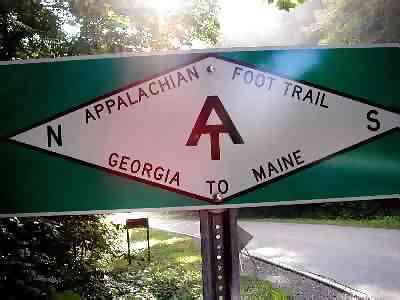 Chris Bagby, a Toccoa, GA native, has hiked the complete trai for each of the past three years. 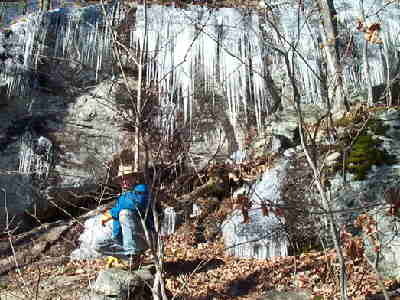 He has a day-by-day account of his year 2000 and 2001 hikes on his journal sites, which you can click at the bottom of this page. 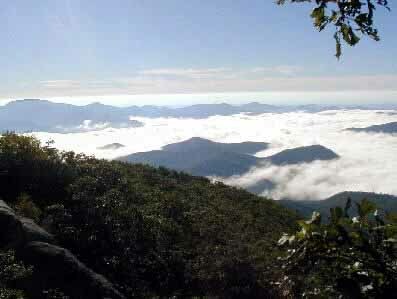 The starting point for northbound hikers! The second largest Poplar tree in the U.S.
face covered with icicles. 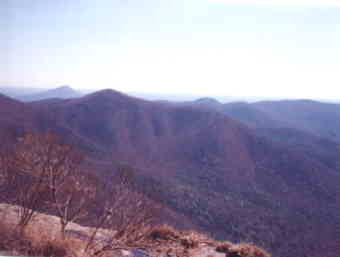 Woody Gap, GA - March 5, 2002. 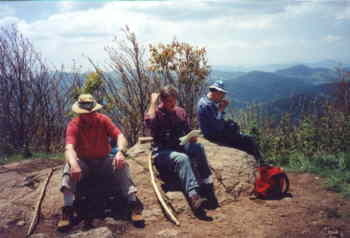 June 13, 2001 our group at Siler Bald. 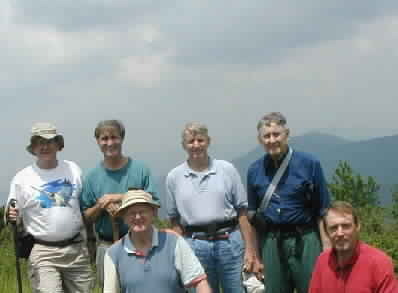 L-R Tony Presley, Dan Ross, Bob Presley, John Bellamy, Sam Hay, Steve Bennett. 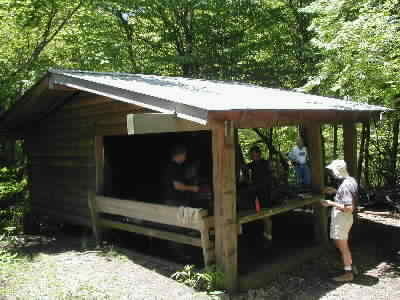 an awesome place to break for lunch! the trail complete with eggs. 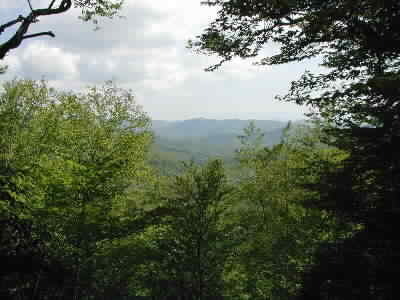 A beautiful view from Cowrock Mountain! 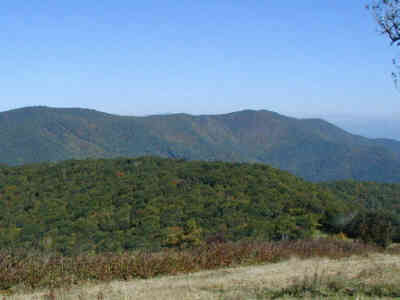 Located 4.6 mi from Neels Gap in Georgia. 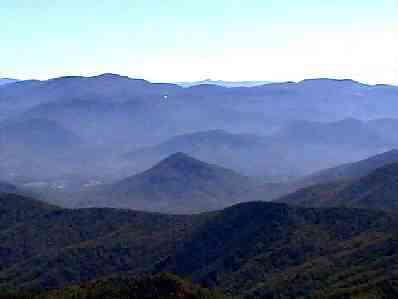 Our new Southern Appalachian Wildflower CD is now available. 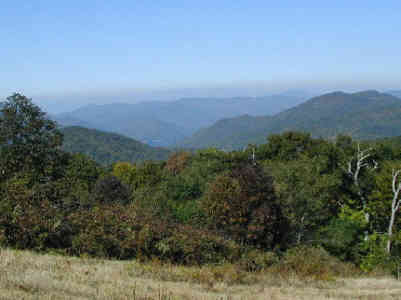 300+ fast loading photos from the Southern Appalachians! Identify flowers that you see on the trail! No internet connection needed. For more information - click the CD icon.